Move over laws were enacted nationally, beginning in the late 1990s and early 2000s in response to the alarming number of police, first responders and other emergency workers who were being killed during stops on Florida roads and highways. The Florida Move Over Law, codified in F.S. 316.126, aims to protect not just authorized emergency workers, but also those who are in the business of sanitation and utility service. The law requires motorists to make way for authorized emergency personnel en route to an emergency and to move over – or at least slow down to 20 mph below the posted speed limit – when passing these workers with their flashing lights parked on the side of the road. 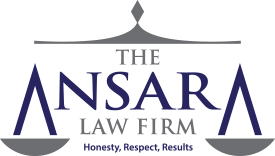 At The Ansara Law Firm, our Fort Lauderdale traffic ticket defense lawyers can help you fight back against allegations that you violated the move over law. We understand Florida’s Move Over Law is good in theory. After all, no one wants police or other authorized personal to get hurt. However, it can be difficult if not impossible to follow, and it may not make much of a difference, even if you do. For example, motorists on rural roads or congested highways may not physically be able to “move over.” Similarly, they may not be able to safely and suddenly slow down without putting themselves at risk of being rear-ended. The Florida Department of Highway Safety & Motor Vehicles reports “move over” violation crash injuries have actually risen since the passage of the law. In 2013, there were 136 Move Over crashes resulting in 46 injuries and two deaths. In 2016, there were no fatalities, but the number of crashes rose to 204 resulting in 68 injuries. Of those 205 crashes, 24 occurred in Broward County. There are many ways our traffic ticket defense lawyers may be able to help you avoid incurring the fines and other penalties of a move over law citation in Broward County. Florida’s Move Over Law was enacted in 2002, and requires protection for emergency workers when they are responding to an emergency. An authorized emergency vehicle on the way to an existing emergency must have audible signals (siren, exhaust whistle, other adequate device) OR be displaying visual signals (i.e., blue or red lights) that allows motorists to know they need to take notice and take action. If there is an ambulance or fire truck or police vehicle approaching behind you with lights and/ or sirens blaring, you are supposed to immediately make your vehicle parallel to (or as close as you can to it) the closest edge of the curb of the roadway. You must be clear of any intersection and then you must stop and remain in that position until the authorized emergency vehicle safely passes or until you are directed to keep moving by a law enforcement officer. The law also notes pedestrians too must yield the right-of-way to authorized emergency vehicles en route to an emergency. That’s the first part of the law. A wrecker displaying amber rotating or flashing lights performing a recovery/ loading. Reduce their speed to 5 mph if the posted speed limit is 20 mph (when driving on a two-lane road). A violation of this provisions is a non-criminal traffic infraction, which can result in a fine and up to 3 points on your driver’s license. These laws are aggressively enforced, but there are often numerous viable defenses our traffic ticket defense lawyers in Fort Lauderdale can utilize. There are some very specific requirements under the statute, and casting doubt on any one of those elements can result in dismissal of your ticket.